During every gold rush, villages were built around the mines, and some lucky pioneers managed to find way more gold than others, becoming rich. Two of those lucky pioneers were Arthur and Gabrielle Ravenswood. 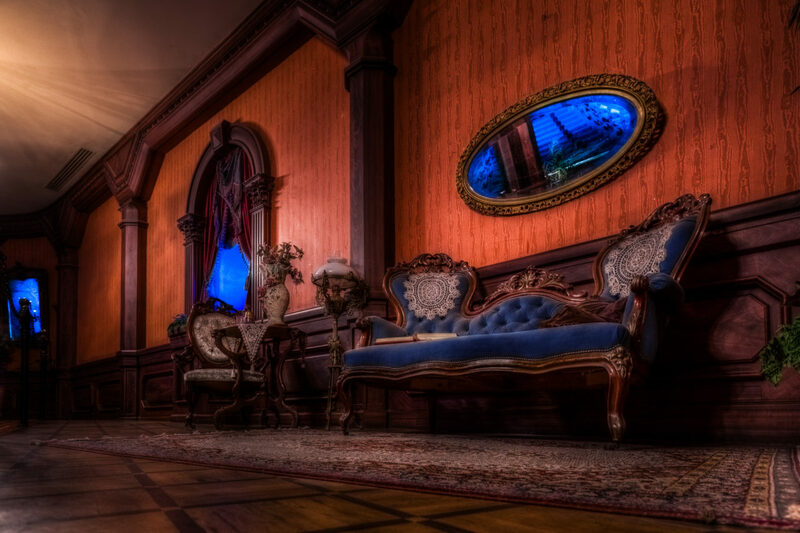 They used their wealth to build a huge mansion above the village of Thunder Mesa, while keeping an eye on their mine. This mansion was to be named after their family, Ravenswood Manor. At the mean time, Arthur’s brother, Henry, was busy bullying and womanising, but he still managed to have a daughter (Melanie) with his wife, Martha. Years later, while the whole village was preparing to celebrate Melanie’s wedding against the will of Henry, a few small earthquakes stroke the mine, leading Henry and his foreman to go and inspect every aspect of the tunnels. The night before the wedding, a terrible earthquake hit Thunder Mesa, crumbling the mine and killing Henry, Martha also died from a heart attack. 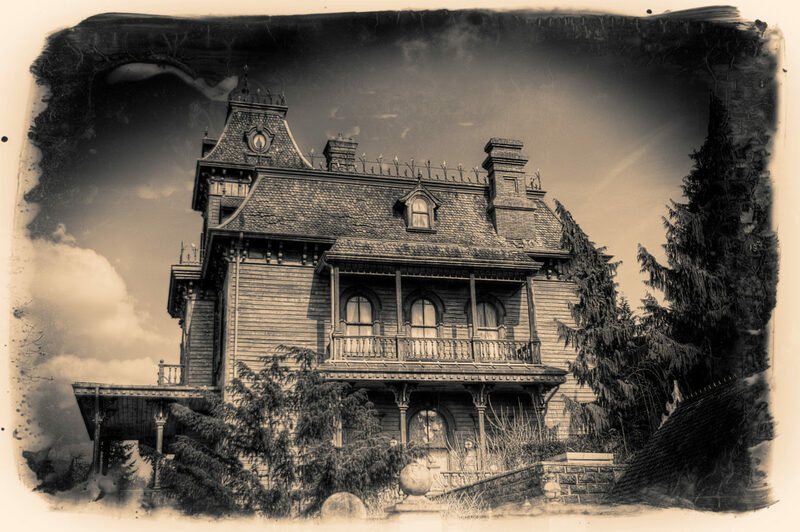 Arthur and Gabrielle Ravenswood never left their home since then, and some say, more than a century later, they are still there, haunting the place, thus giving its nickname to the mansion: Phantom Manor. Ce post est disponible en français ici. It was during a road-trip through the United States that we found this little village, Thunder Mesa, abandoned by its pioneers. Strangely, the town was not mentioned on any of our maps. It probably was founded by miners during a gold rush. 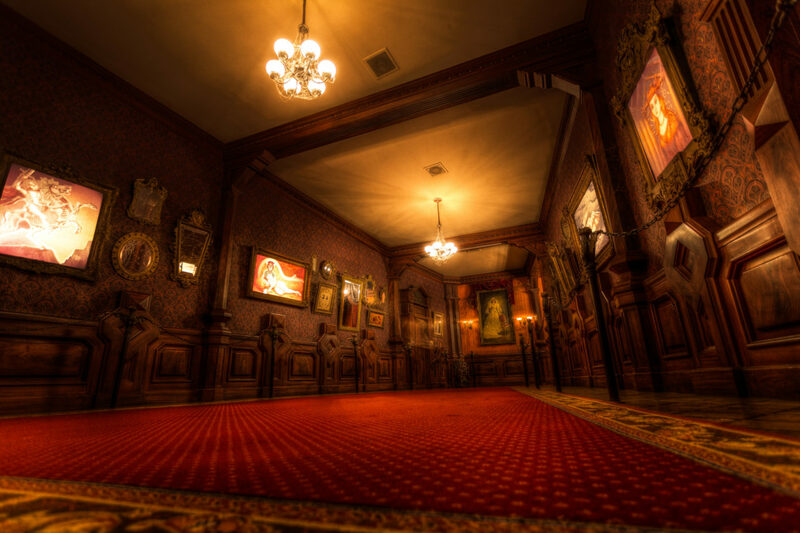 It’s not hard to find out who was the first one on site, looking at this huge mansion uphill…Believing the documents we found in the city hall, Ravenswood Manor was, obviously, the home of the Ravenswood family. The mine was their property also, and apparently something terrible happened around 1860, we don’t have many details, but the mine has been unattainable since then. 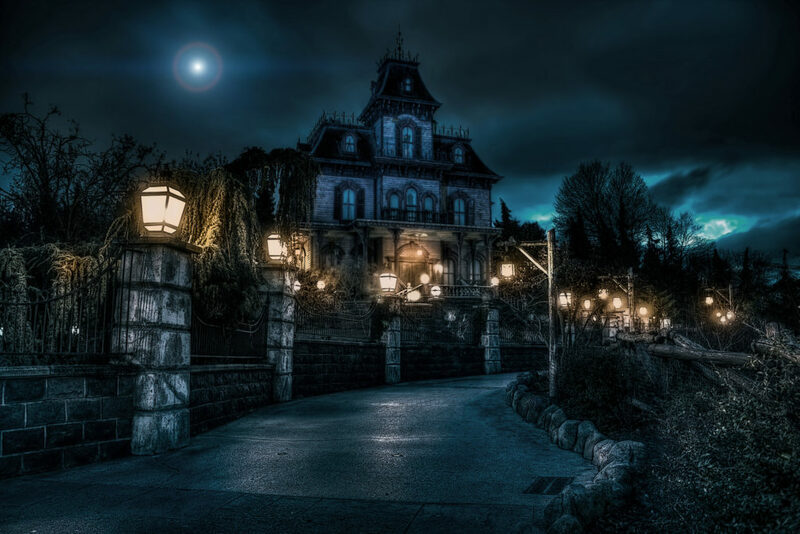 Well, whatever happened there 150 years ago, the Ravenswood Manor seems to be in good state and the night has fallen, so why not spending the night in there? 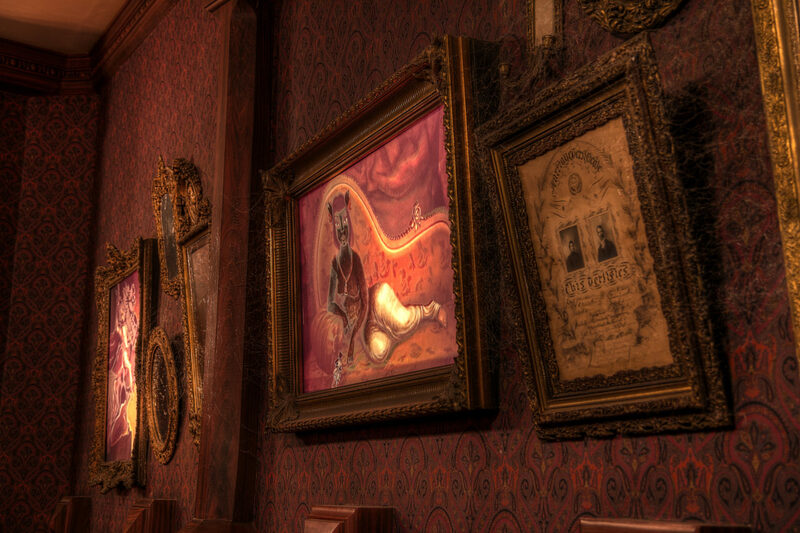 We crossed this room, with its creepy paintings on the walls depicting life scenes outside Ravenswood Manor and arrived in this corridor. And no, this time we didn’t light any of these candelabrum. 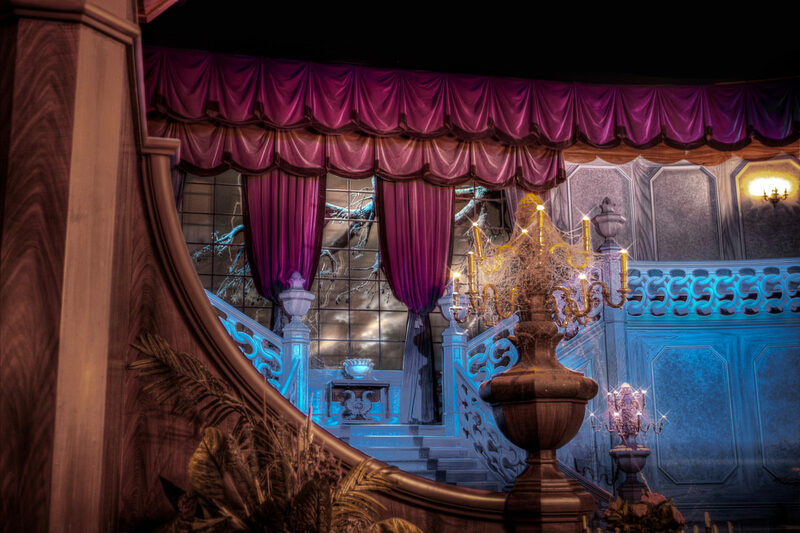 As we were starting to worry a bit, we heard a laugh echoing… We try to go back, but couldn’t find the door. We’re stuck in there, forced to move forward. At the end of this corridor, we arrive in a huge hall, full of whispers. We are not alone, the only is question is “what’s next?”. The immense windows behind the staircase allows us to watch a violent thunderstorm outside. If the weather was cloudy, no one could have predicted such a violent storm. Being “a bit” afraid by all those whispers and distant laughs, we decide to move on and follow the corridor to leave this hall quickly. What a terrible mistake we made here… We were in a creepy house, possibly stuck inside, but now…We are in Hell. That’s the only word that came to my mind. Hell. We are running through a perfect replica of the town we found this afternoon, but inhabited by ghosts and skulls. Deads came back from the other side, and they are all living their lives like 150 years ago. Like if it wasn’t enough, we happened to cross the graveyard in our run. 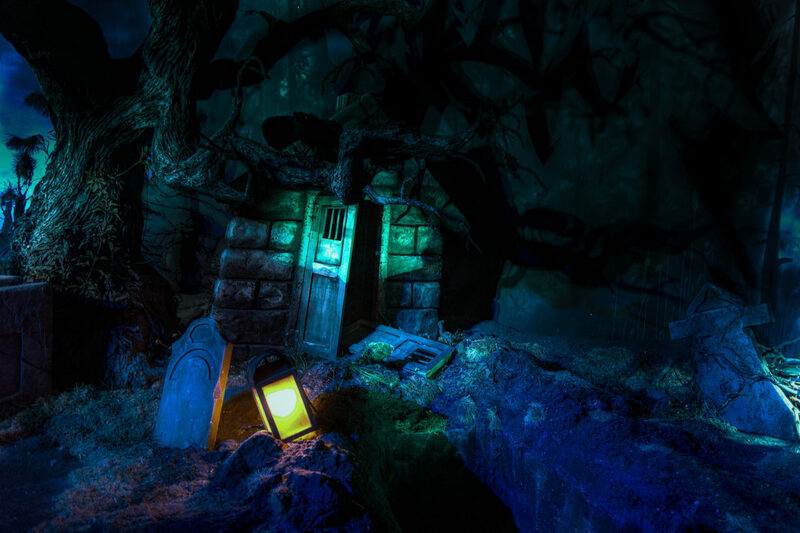 Of course a tremendous amount of tombs were opened, but there were some that didn’t look old at all, maybe a few days or weeks…And two of them were opened, freshly digged, and they were exactly our sizes.